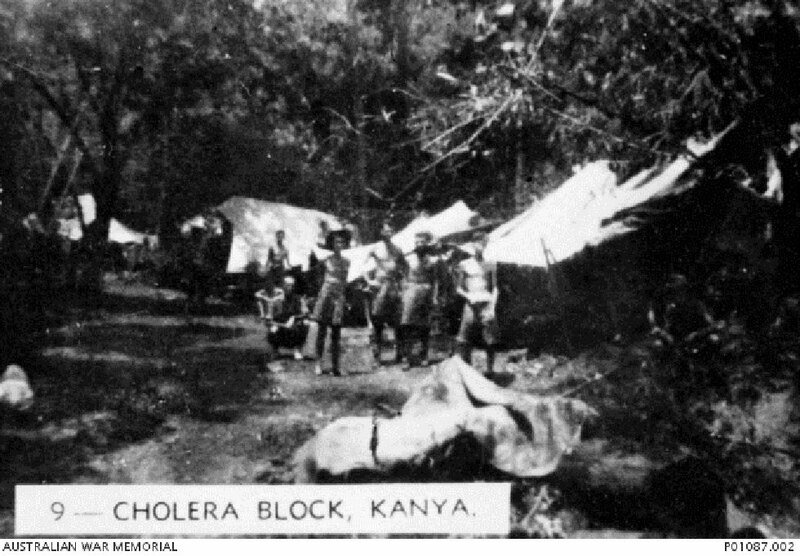 'Cholera Block' of a makeshift hospital set up in tents at Konyu 2 POW Camp (later known as Malayan Hamlet) on the Burma-Siam railway, where H Force POWs were imprisoned. The white article on the left is a dead cholera victim awaiting burial, and in the foreground are blankets returned for re-use after a burial. The photograph is number 9 in a series marketed by the Far East Picture Company and originating from material used in the Rabaul War Crimes Trials, taken July 1943. Image donated by H. Clarke, provided courtesy of James Bunning, Australian War Memorial. Accused was a platoon commander in the 3rd Railway Company, 9th Railway Regiment. 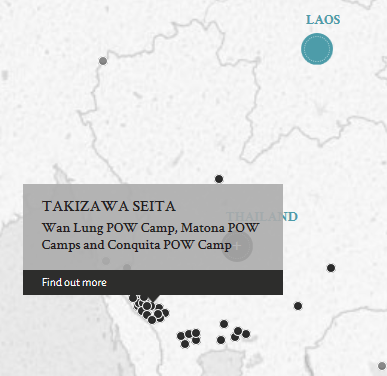 He was charged with the inhumane treatment of British POWs, including forcing sick men to work, allowing them to be kicked and beaten, and on one occasion, refusing to allow them to have their mid-day meal. The prosecution did not rely on any witnesses and relied solely on evidence filed by various ex-POWs for the entire case. Takizawa, Seita. Lieutenant. From Japanese military. From Japan. Guilty. 3 years' imprisonment. Sentence confirmed. Eber, John. Civilian. Barrister at Law. Tyson, R. H. Lieutenant. From British military.